RELISTED:Come and see the new upgrades of all new paint, new flooring throughout, new granite slab kitchen counters in this lake view residence. 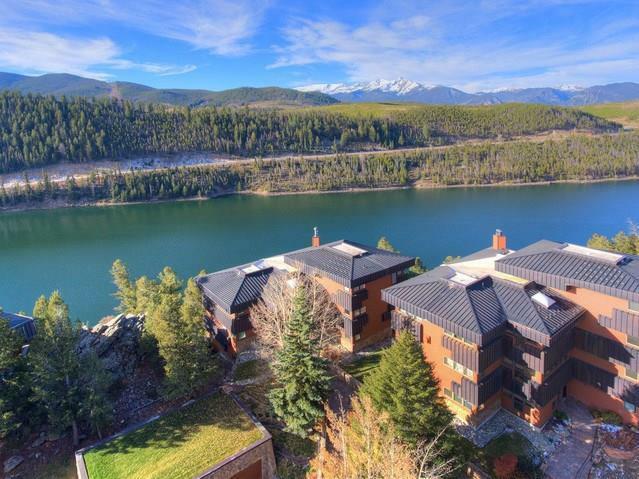 The spacious condo offers an open floor plan on one level (some exterior stairs from garage to condo), perched over Lake Dillon with wrap around deck. Clubhouse provides hot tub, pool, fitness, racquetball, tennis. 10 minutes from Keystone Resort. From the neighborhood walk onto a 200+ acre preserve with loads of lovely trails. See virtual tour link. Sarah and I would like to thank you both for the wonderful marketing services and contract negotiation you provided in selling our condominium unit in Keystone, CO.
We were pleased to have Laurie Williams of Remax represent us in the listing and sale of our condo in SummerRidge. Laurie confirmed all of our expectations of her as a real estate agent and broker. Competence, professionalism, work ethic, and integrity were exemplified throughout our listing. There is no question in our minds that these personal qualities are the reason Laurie has been so highly successful over the years listing and selling properties throughout Summit County. We would recommend Laurie Williams to anybody who is serious about selling in the County as well as those who are looking to purchase and/or upgrade.